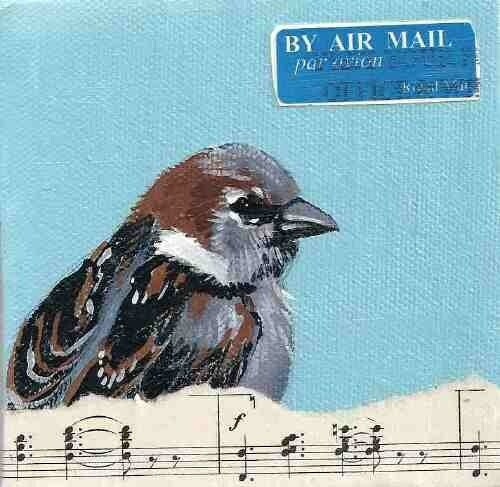 This sweet little sparrow is here to greet us with her song just in time to welcome warmer weather! This image is from a miniature painting I did with collaged sheet music. The card is blank for your own cheery note!